By their very essence, both the internet and the discourse of contemporary art seem diametrically opposed and critically resistant to one another. Confined by its technological determinism and strict computer monitor interface, the internet is a cold mise en scène for art making. The industry of contemporary art meanwhile, bound up in object-based market values and its own aesthetic and theoretical history, appears as if it would shrug off any attempt by the internet to infiltrate its territory. Even so, nascent, heterogeneous, small connected art worlds proliferate on the internet, interacting with contemporary art discourse on variably naive or critical levels. With the opening of the internet-inspired Free exhibition at the New Museum, New York, curated by Rhizome.org’s Lauren Cornell, as well as solo presentations by internet-based artists such as AIDS-3D and Oliver Laric at the Frieze Art Fair, it seems pertinent to ask if the sublimation of internet art into broadened contemporary art display and discourse is possible—or if it has already happened. What is internet art? Many distinctions need to be made here. Clearly, there are many formulas in which the internet and art can interface with one another, the most obvious usage being the internet as a communicative or promotional tool for art. The term ‘net.art’, coined in 1995 by Yugoslavian artist Vuk Cosic, was reportedly taken from a glitchy, jumbled email that Cosic received. The only legible words in it were ‘net.art’. Since this time, net.art has come to represent the fledgling stages of a broader ‘internet art’, reflecting an enmeshment with hacker culture and technology-based conceptualism. Nineteen-ninety-five generally demarcates a breakthrough year in widespread internet accessibility, although the general public had yet to develop collective knowledge of the internet and its commercial and social networking potential. Jodi, the digital art collective founded by Joan Heemskerk and Dirk Paesmans, is emblematic of the net.art movement with their aestheticisation of glitches and Hypertext Markup Language (HTML). Launching in 1993, jodi.org initially appeared as a malfunctioning web page with blinking green code on black. At that time, those with a broad knowledge of HTML would be prompted to check the site’s page source to view the unconverted code. To their surprise, they would find an ASCII-style rendering of a hydrogen bomb embedded in the original information. The format of the web browser becomes its conceptual content and, by representing the browser as a ‘time bomb’, Jodi implicitly critiques the commercial infiltration of the then burgeoning world wide web. 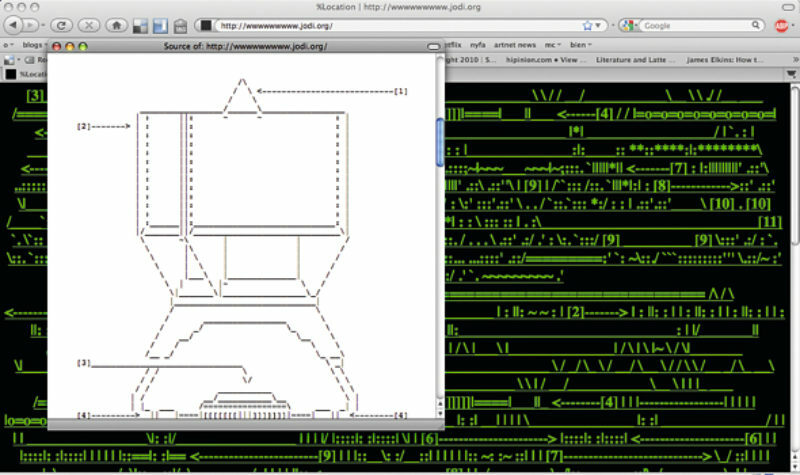 Between the techy exploits of net.art and internet art as we know it today is Neen, a computer-derived term popularised by Greek artist Miltos Manetas. Blending the words ‘new’ and ‘screen’, Neen artists are a heterogeneous movement in their own right, and continue to work through concerns of medium specificity, locating them in the limitations of the computer screen in replicating real-life phenomena. 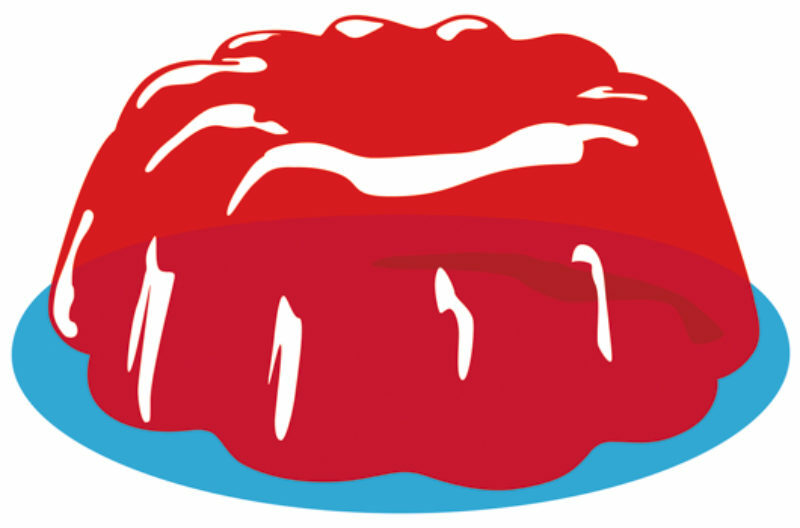 Jellotime.com, a 2007 project by Dutch artist Rafaël Rozendaal, finds a minimal vector graphic of a red jelly on a blue plate. When the site visitor scrolls the computer mouse over the jelly it jiggles, creating a ‘boing!’ sound, closely replicating a previously irreproducible phenomenon and thus gesturing toward the limitations of imaging technology. (Curiously, the site is immensely popular with an average 60,000 unique visits a month, while the total number of visits to all of Rozendaal’s sites extends to approximately 1 million per month.) The artist has also become known for the use of art historical citation in web-based work: his 2010 site electricboogiewoogie.com depicts an animated image clearly inspired by Mondrian, in which its constituent parts interact in a snakes and ladders-style fashion. In an attempt to efface the technologically determined history of internet art, the citation of art historical references and specifically abstract painting, has accounted for an increasing number of contemporary webbased works by various artists in recent years. Collectives such as the Poster Company (Travess Smalley and Max Pitegoff) and PaintFX.biz (Jon Rafman, Parker Ito, Micah Schippa, Tabor Robak and John Transue) utilise 3D imaging software to replicate the brushstrokes of modernist masters. In his solo capacity, Rafman also creates browser-based works in homage to Sol LeWitt and, more recently, as a Joycean homage: portraitofanetartistasayoungman.com. The emergence of younger net artists utilising this type of expanded citation of the arts, points towards a collective desire for the discipline’s demarginalisation, perhaps aided by the recent popularisation of Art and Technology BFA and MFA programmes in reputable universities and colleges. Net art has become increasingly stratified as a flexible aesthetic vocabulary existing on and off the internet. Part of the impetus of Cornell’s Free exhibition, which notably housed no computers, was to illustrate this principle, as well as the idea that art engaging the internet frequently exists entirely outside of it. As Cornell notes, ‘a single work—like Harm van den Dorpel’s “Redux” or Aleksandra Domanovic’s “19:30” —can be present online, in public, as a record, or a book, and in a gallery.’ The exhibition, inspired by Seth Price’s 2002 essay ‘Dispersion’ and Lawrence Lessig’s 2004 text ‘Free Culture’, illustrated that the broadening of net art’s physical context is not only possible, but in full effect. Van den Dorpel, a Dutch artist with a long history of and adeptness for programming, works through plastic media and presents another way to engage ideas about digital culture. 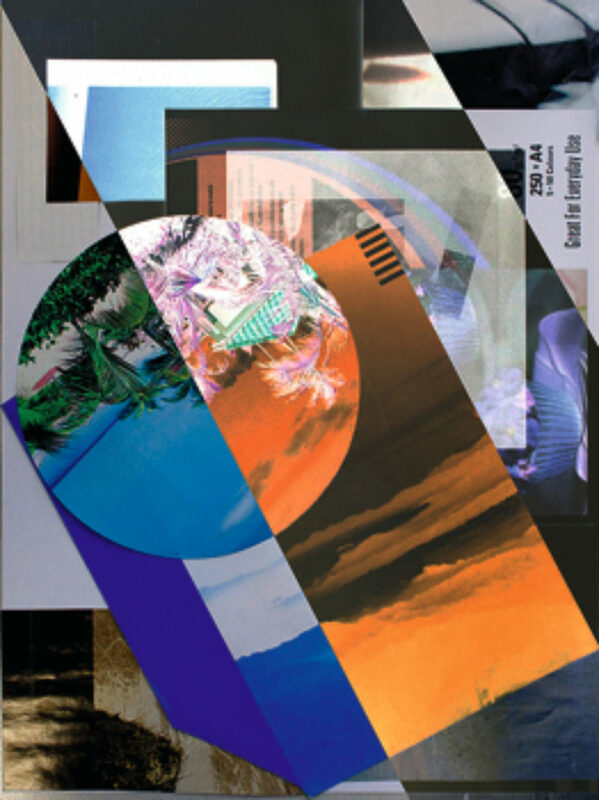 His collages mimic aesthetics endemic to Photoshop in real life, and whereas we generally find net artists working through digital means to express the cultural effects of technology, Van den Dorpel works through the inverse, opening a new meeting point for abstraction and collage with ideas about technology. Yet, one wonders if this broadening of net art’s platform exists solely as a creative solution to the difficult commodification of an inherently dematerialised art form. And, for all its effort in demonstrating the incalculably wide concept of ‘free culture’, does the Free exhibition solely act as an apology for the technological hangover resultant from Internet art’s Jodi days? Although Free take its impetus in a deflatingly defensive position, this isn’t to say that the broadening phenomenon it illustrates is negative—surely we understand it necessary to earn a living from labour, and Marxist critiques of selling work are as exhausting as they are naive. (Interestingly, Rafaël Rozendaal has recently made public a collector’s contract to ease the complications of buying net art.) But, is something lost—dare I say a sense of radicality—in the objectification of internet art? The young London-based duo Sopping Granite (Ben Vickers and Sarah Hartnett), challenge traditional modes of artistic practice, off and on the internet, by creating sculptures, installations, collages and videos through a nomadic brand that capitalises on youth culture, American Apparel-inspired fashion and open sexuality. Recently reformed, Sopping Granite cryptically toys with casting and branding reality to gesture toward the internet’s dissemination of social capital as a conflation of the high and low, erudite and vapid: its audience, Vickers and Hartnett suggest, is just as interested in media theorist Geert Lovink as it is Facebook. Though their critique is oblique and emerging, these two artists represent a sense of honesty toward the developing multiplatform nature of the internet, which is reflected in the transient nature of their work. There is a plurality of physical states found in net art. This signals not only a diversity of opinion in how this art may be exhibited with most integrity, but significantly it is also emblematic of the paradoxical nature of attempting to illustrate the ineffable: the collectively shared experience of technology’s rapid integration into daily living.